More than 55,000 Americans are expected to be diagnosed with pancreatic cancer in 2018. That is more than 150 people diagnosed every day.Pancreatic cancer is the eighth most commonly diagnosed cancer in women and the 11th most commonly diagnosed in men in the U.S.
Pancreatic cancer begins in the tissues of your pancreas — an organ in your abdomen that lies horizontally behind the lower part of your stomach. Your pancreas releases enzymes that aid digestion and hormones that help manage your blood sugar. Pancreatic cancer typically spreads rapidly to nearby organs. It is seldom detected in its early stages. But for people with pancreatic cysts or a family history of pancreatic cancer, some screening steps might help detect a problem early. One sign of pancreatic cancer is diabetes, especially when it occurs with weight loss, jaundice or pain in the upper abdomen that spreads to the back. Pancreatic tumors are either exocrine or neuroendocrine (endocrine) tumors. This is based on the type of cell they start in. Knowing the type of tumor is important because each type acts differently and responds to different treatments. Within these types, the biology of each tumor is different. Molecular profiling gives patients information about their tumor’s biology. Blood test. Your doctor may test your blood for specific proteins (tumor markers) shed by pancreatic cancer cells. One tumor marker test used in pancreatic cancer is called CA19-9. But the test isn’t always reliable, and it isn’t clear how best to use the CA19-9 test results. Some doctors measure your levels before, during and after treatment. If your doctor confirms a diagnosis of pancreatic cancer, he or she tries to determine the extent (stage) of the cancer. Using information from staging tests, your doctor assigns your pancreatic cancer a stage, which helps determine what treatments are most likely to benefit to you. The stages of pancreatic cancer are indicated by Roman numerals ranging from 0 to IV. The lowest stages indicate that the cancer is confined to the pancreas. By stage IV, the cancer has spread to other parts of the body. Treatment for pancreatic cancer depends on the stage and location of the cancer as well as on your overall health and personal preferences. For most people, the first goal of pancreatic cancer treatment is to eliminate the cancer, when possible. When that isn’t an option, the focus may be on improving your quality of life and preventing the cancer from growing or causing more harm. Treatment may include surgery, radiation, chemotherapy or a combination of these. When pancreatic cancer is advanced and these treatments aren’t likely to offer a benefit, your doctor will offer symptom relief (palliative care) that makes you as comfortable as possible. Surgery for tumors in the pancreatic head. If your cancer is located in the head of the pancreas, you may consider an operation called a Whipple procedure (pancreaticoduodenectomy). The Whipple procedure is technically difficult operation to remove the head of the pancreas, the first part of the small intestine (duodenum), the gallbladder and part of the bile duct. In some situations, part of the stomach and nearby lymph nodes may be removed as well. Your surgeon reconnects the remaining parts of your pancreas, stomach and intestines to allow you to digest food. Chemotherapy: Chemotherapy uses drugs to help kill cancer cells. These drugs can be injected into a vein or taken orally. You may receive one chemotherapy drug or a combination of them. Chemotherapy can also be combined with radiation therapy (chemoradiation). Chemoradiation is typically used to treat cancer that has spread beyond the pancreas, but only to nearby organs and not to distant regions of the body. At specialized medical centers, this combination may be used before surgery to help shrink the tumor. Sometimes it is used after surgery to reduce the risk that pancreatic cancer may recur. In people with advanced pancreatic cancer, chemotherapy is often used to control cancer growth and prolong survival. Radiation therapy: Radiation therapy uses high-energy beams, such as those made from X-rays and protons, to destroy cancer cells. You may receive radiation treatments before or after cancer surgery, often in combination with chemotherapy. Or your doctor may recommend a combination of radiation and chemotherapy treatments when your cancer can’t be treated surgically. Radiation therapy usually comes from a machine that moves around you, directing radiation to specific points on your body (external beam radiation). In specialized medical centers, radiation therapy may be delivered during surgery (intraoperative radiation). Radiation therapy traditionally uses X-rays to treat cancer. Some medical centers offer proton beam radiation therapy, which may be a treatment option for some people with advanced pancreatic cancer. 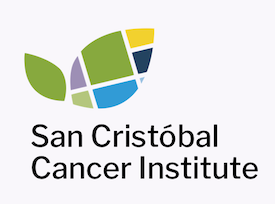 If you’d like to learn more about Pancreatic Cancer through our San Cristóbal Education Resources, attend our events or learn about our Cancer Center, please contact us.